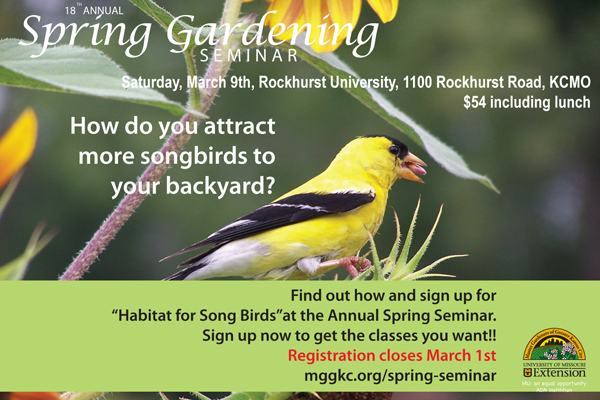 Have you signed up for our Annual Spring Seminar yet??? It is an amazing all day event offering a variety of presentations for the avid gardener. You can learn about the Best Veggies for our Midwest Climate, Gardening with Natives or everything you ever wanted to know about Evergreen Pruning. These are just three of the 13 presentations to choose from during the event! Also included is Dr. Tamra Reall’s keynote address, “Beyond Butterflies: The Microcosm in your Backyard. Open to the public. Lunch included!